Government officials are ringing in the Spring Festival – Chinese New Year – by clamping down on Christian literature. 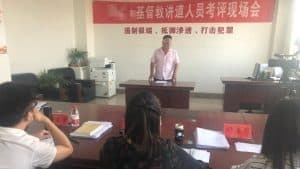 Freedom of religion in China remains a pipe dream, and in Central China’s Henan Province, Christians are bearing the brunt of the crackdown as government officials are prohibiting the distribution of Christian calendars and couplets, on top of other means of religious persecution. 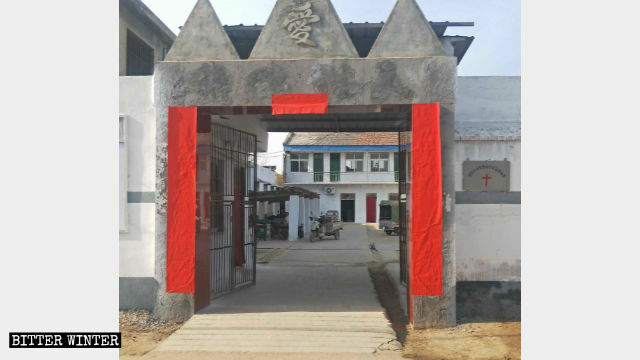 A believer, who requested anonymity, from De’en Church in Xigong district, under the jurisdiction of Luoyang city, told Bitter Winter that his church prepared a Christian calendar to be distributed to the members of the congregation at the end of 2018. But when they took it to the printer’s, the owner refused, saying he wouldn’t dare to print any religious materials. Bitter Winter also visited a small printing house, where the manager said they’d long been prohibited from printing religious materials. For believers at De’en Church, the authorities’ restrictive policies have not only prohibited them from printing and using Christian desk calendars but now posting religious couplets is also restricted. In an attempt to thwart the sharing of Christian couplets, authorities have taken it upon themselves to visit churches and pass out secular couplets as gifts to believers and then demanded that the churches post them. This is precisely what happened when the deputy secretary of Sucun township in Lingbao county under the jurisdiction of Sanmenxia city visited Christians on Christmas Day. The believers didn’t appreciate this. During the same period, authorities in Xin’an county, under the jurisdiction of Luoyang city, demanded that churches order a batch of Spring Festival couplets that embody the “core socialist values” and Chinese traditional culture and issue these couplets to the religious masses. In an attempt to protest government orders, some churches have posted blank couplets. If the Christians can’t have couplets espousing their belief in God, they certainly won’t post the secular, government-issued ones. “The government won’t let us post the church’s couplets, or else the church will be shut down. We were ordered to post the uniformly issued couplets. But we believe in God. Even if it means posting blank couplets, we shall not post the CCP’s couplets,” said one believer in Tangyin county, under the jurisdiction of Anyang city. A church in Tangyin county posted a couplet with no characters on it. But in reality, the ban on all religion-related symbols is nothing new to believers in China. During last year’s Spring Festival, the CCP also placed strict restrictions on believers posting Christian couplets. Immediately, local governments across China launched campaigns to tear up and destroy them. In other words: Stop all kinds of behavior of distributing couplets with religious connotations to society; investigate and punish according to law the sale of printed religious materials and all sorts of items that contain canonical doctrine; severely prohibit any illegal publishing activity related to religion; and crack down on unlawful printing, dissemination, sales and distribution of illicit religious publications and promotional materials. After all, oppression is certainly one way to go into the Chinese New Year.